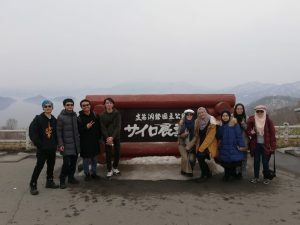 The 2nd Japan Internship Program has successfully concluded on 22 March 2019 as participating students departed from the Chitose International Airport. 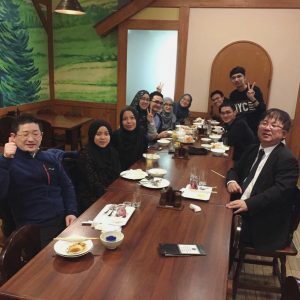 This year, a total of nine students from the International Islamic University Malaysia (IIUM) joined the winter internship program from December to March, jointly organized by the Japan Malaysia Association (JMA) and JTB. 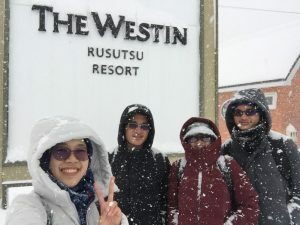 The internship was hosted by the Rusutsu Resort, one of the largest ski resorts in Hokkaido with a wide range of amusement facilities and restaurants entertaining guests from Japan as well as from a number of countries in Asia. 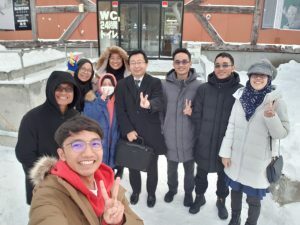 Students who received intensive language lessons in the school in Malaysia arrived at the end of December when the ski resort goes through the busiest season of the year and were placed in various positions required to maintain the hotel management business. 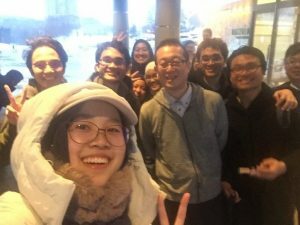 Despite the cultural difference and religious restrictions, all the students gained first-hand work experience in the overseas hospitality industry and successfully completed the internship program. 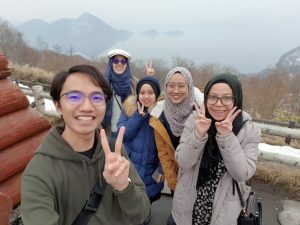 The JMA is greatly thankful to the generosity of Kamori Kanko, the operating company of the Rusutsu Resort, for offering days of leaves toward the end of the program, so students can also travel in the country to see the Japanese culture beyond work. We hope students can make the best of this experience in the past three months for their future careers and to help us build a better relationship between the two countries. Copyright © Japan Malaysia Association All Rights Reserved.